+ The unicycle must be pushed when walking! + The wearing of a helmet, gloves and knee pads is obligatory! + Only Munis without transmission (gear) permitted! 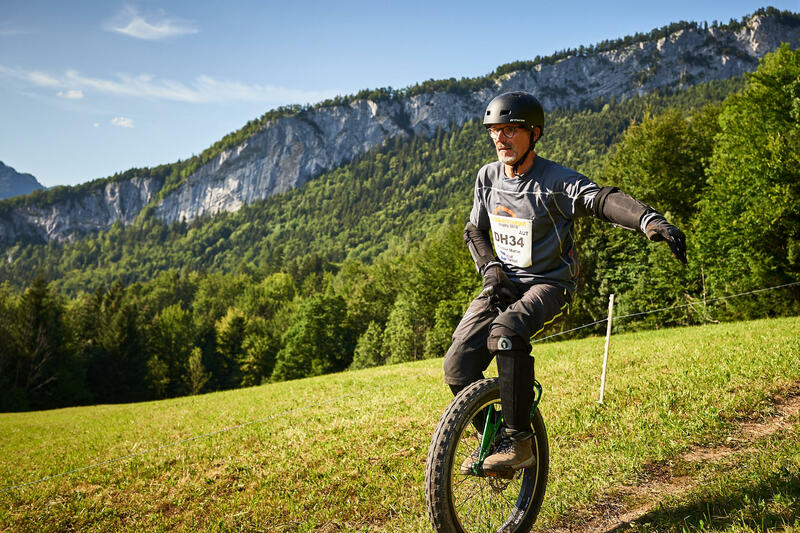 + The regulations of the International Unicycle Federation (IUF) apply! 10,- Euro when transferring the amount before May 1st. 15,- Euro when transferring the amount after May 1st or when paying cash on site. All participants who register and pay the entry fee online before June 28th receive a personalized race number. 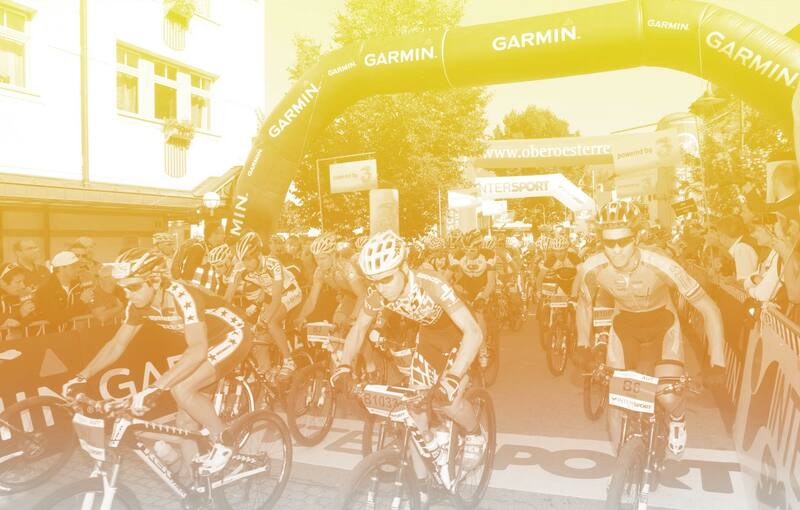 Depending upon availability it is possible to register for the individual age groups one hour before start. Late entries after June 28th will be disregarded in the starting grid! Departure: Parking Space “Goisern Mitte”. 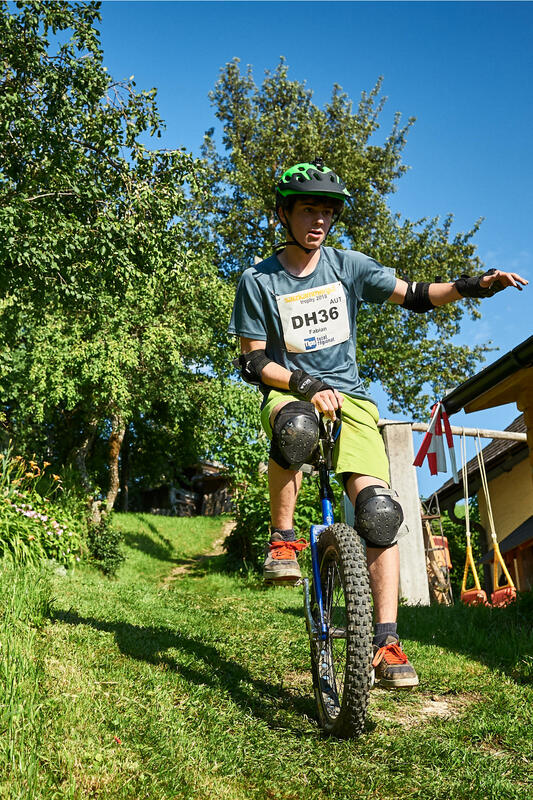 For participants of the Unicycle-DH for free. Shower facilities are available in the high school – "Neuen Mittelschule" (HS1) from 06.30 pm until 08.00 pm. Saturday from 01.00 pm until 10.00 pm and Sunday from 10.00 am until 03.30 pm in the Volksschule. The voucher of the Trophy T-Shirt is in the starting package. No voucher no t-shirt! At 07.45 pm in the grand pavilion in the center. The top three of each category receive great trophies! The ÖM Rating is only for participants with Austrian citizenship. Medals are waiting for the three fastest Munis!